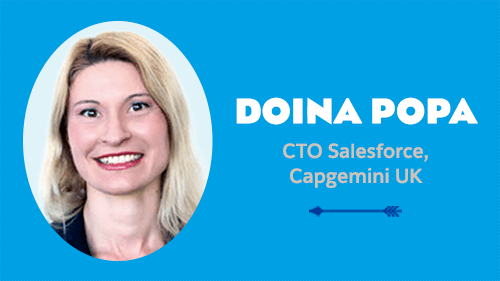 Doina was the first woman to achieve Certified Technical Architect status outside of the US. She is now 17x certified and lives in London with her son. When she's not masterminding ground-breaking Salesforce solutions to meet the dreams of her clients, she enjoys hiking, running, a good dinner, or a relaxed meet-up with friends. Doina also loves the sea, mountains, and traveling to different places in the world (her favorite place on Earth is the little town of Vevey, Switzerland). I believe our work lives are never completely separated from our personal lives. My life has had highs, lows, and “start all over again” experiences. I had to combine both sides of my life in order to successfully navigate it. We can shape and influence some aspects of our lives and some of them we just can’t change. We have to accept that fact. Salesforce created the opportunity for me to have that choice and change certain aspects of my life. I started my Salesforce journey a little over eight years ago when I was living in Munich, Germany. But my introduction to tech happened much earlier. While studying Computer Science in Bucharest, Romania, I interned at one of the biggest software houses there. I worked hard and was eventually offered a paid job, which I happily accepted. The team grew as we built a new (and good!) product that constantly evolved. Sales were going up and our small, ambitious team facilitated new strategic partnerships for the company. Life was good — until my son was born with a severe illness. In order to save his life, we left Romania for specialized medical care in Germany. After 11 months, we decided it was in his best interest to stay in Germany. What followed was a series of long and extremely difficult struggles in hospitals and at home until he finally improved. During those early years in Germany, I tried to keep up with technology. That's when I first read about Salesforce. I found it really interesting and thought it opened up great opportunities for businesses. What I didn't realize back then was the vast ecosystem it would become or what it would mean for people working in tech. So, I chose Salesforce for my “start over” career as a developer. I'm a practical learner and wanted to learn the technology hands-on. 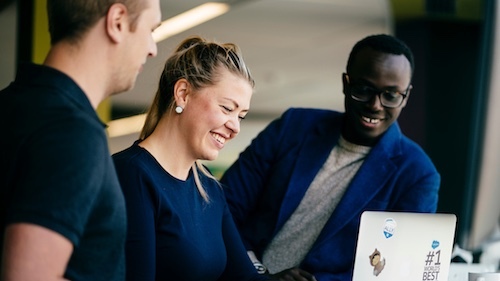 I was lucky to find a small Salesforce independent software vendor (ISV) that was expanding and cross-training developers from other technologies where I started as a Senior Salesforce Developer and Consultant. This is when my Salesforce learning experience truly started. I initially looked at admin tasks, handled support queries to expose myself to different types of “real world” questions, and read everything I could. This was before Trailhead (oh, what a difference that would have made! ), so I read all sorts of documentation, help articles, and blogs. I worked my way through the platform, transposing all of my technical knowledge of data management, object-oriented development, and consulting into this new world. I also started developing, applying best practices and patterns. It was fun and interesting. I developed new skills and made new friends. After a couple of years, I felt confident with my level of knowledge and wanted to validate it by earning some Salesforce certifications. There was no requirement (or interest for that matter!) from my company, so I decided to get them on my own — it was that important to me. First, I attempted the Salesforce Administrator certification...and passed! Then I took the Force.com Developer (now Salesforce Platform Developer I)...and passed that one too. I was so happy. This was official confirmation that I had the skills. I was proud to join the ranks of a Salesforce-certified professional. But I didn't want to stop there. I wanted to know more. I needed to evolve even more. Then, one day, I ran across a post for a Technical Architect position at Salesforce. This was it. I knew I had the knowledge. And it would be a dream come true to work for the “mothership” (as some like to call it). I applied but was rejected almost immediately. In my heart I knew this was what I was meant to do, so I persisted. Persistence paid off, and I secured my dream job as a Technical Architect at my dream company, Salesforce. I did it! At the time, I was the eighth person in the Services team. Now, seven years later, that team has more than 300 people. Most Salesforce employees have a ramp-up time of four to eight weeks. However, because of all the learning I had completed, I was deployed on billable assignments after just two weeks. I continued learning (and having fun) and became an Advanced Administrator, Sales Cloud Consultant, and Service Cloud Consultant certified. One of the toughest certifications — and one that I am most proud of — was the now-retired Force.com Advanced Developer (replaced with the Platform Developer II). With my confidence high, I decided I was going to be one of the best Salesforce professionals I could be. That's when my dream of becoming a Salesforce Certified Technical Architect (CTA) was born. Not only did I make it, but I became the first woman outside of the USA to become a CTA...but that story is for another day. My next big life change came when I moved to the UK to join Capgemini as the CTO of their Salesforce practice. I now work with a great, enthusiastic, and fun team of very motivated, skilled individuals of all levels of professional maturity, which is challenging...and totally fantastic. I'm in the best place for a more evolved learning experience and have the opportunity to develop professionally. 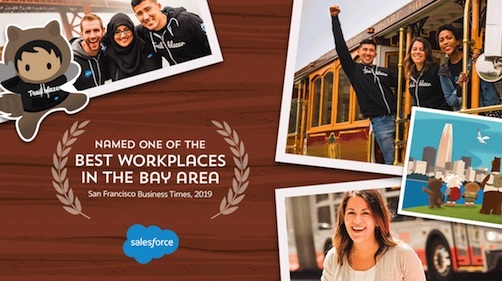 What I appreciate the most is that I'm working someplace that aligns with the same core values I have and has the customer-centric focus that was key during my time at Salesforce. I have always been an active and ambitious person. When life knocked me down, I collected myself, assessed my options, got back on my feet, and worked my way up again. With help — no one succeeds alone. And that is so important for everyone to remember. My family, friends, the Salesforce Ohana, and the community made my comeback possible. Not only to restart and succeed in my profession but to actually reach the top of the knowledge mountain, despite all the challenges in my personal life. I'm now in a unique position to enjoy a flexible work schedule that allows me to blend my personal life with the work that I love. My story is really one of ambition to enjoy life and to be the best I can be. It is also one of deep gratitude, of daring to dream and act, and of being supported by amazing people. The magic combination of the technology, the Trailblazer Community, and resources like Trailhead makes learning Salesforce easy and fun. Through validated learning, using real business challenges, continuous innovation, and most importantly, an evolved ecosystem, everyone learns from each other, everyone contributes, and everyone succeeds together. This has been some adventure so far! Learn more about my journey to becoming a Salesforce CTA and check out my 5 tips for taking the Review Board exam. 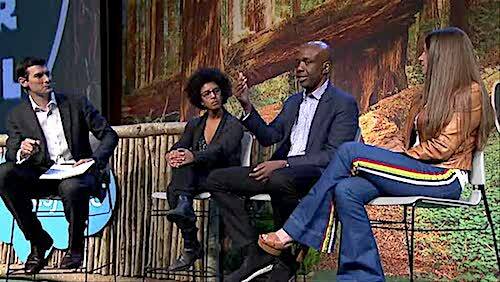 This article is part of an ongoing series highlighting the many voices and stories that make up Salesforce’s diverse community of Trailblazers and is based on an original piece published on The Trailblazer.